It is actually ONE BUCK WEDNESDAY over at Jessica Sprague and you won't want to miss all the great sales over there. 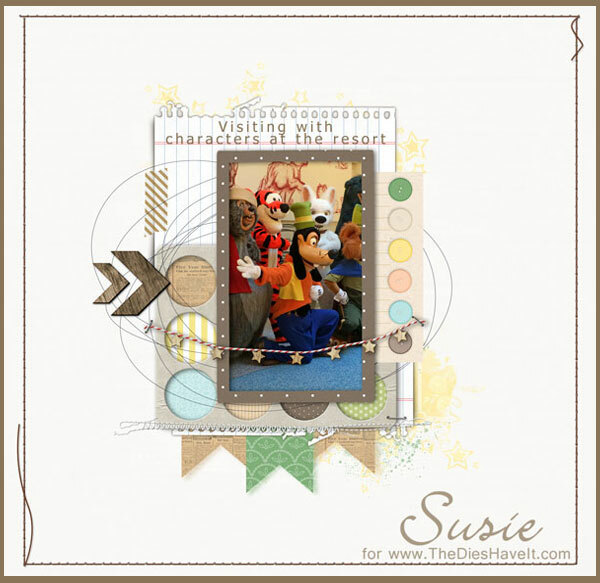 The kit I used on my layout today is called Modern Mercantile by Jenni Bowlin. I love the soft colors in this kit and the fact that it is on sale for $1 makes it SUPER sweet! Please don't delay...the sale ends Wednesday at midnight. Hurry on over!